The statist agenda of ever-growing government requires more money going to Washington, which is why I think that proponents of limited government should do everything they can to block tax increases. This is the “starve the beast” theory, and I’ve previously explained why I think it is a necessary part of any long-run strategy to restrain the burden of government spending. He would never admit it, but Obama seems to agree, which is why he is dogmatically fixated on doing everything he can to seduce Republicans into supporting higher taxes. But he miscalculated in thinking that the fiscal cliff tax hike somehow meant that he had permanently neutered the GOP, and he definitely goofed when he tried to use the sequester as a weapon to bully Republicans into another tax hike. Ignoring the President’s hyperbole about the supposed catastrophic effects of a very modest reduction in the growth of the federal budget, Republicans have held firm. And the President has suffered a painful political and policy defeat. Here’s some of what was reported in The Hill about the President’s attitude. The first months of President Obama’s second term are being built around a simple premise: No caving. …Obama is in an ultra-assertive mood, practically daring Republicans to defy his wishes. …Obama’s attitude is more akin to that of a general leading his forces into battle, confident that he can decimate the enemy. …On the sequester, for instance, Obama did little more than pay lip-service to the idea of a last-minute compromise to avert the package of cuts. Well, Republicans did “defy his wishes” and it’s the worst possible outcome for the President. The growth of spending is being slowed and taxes are not going up. Democrats on Capitol Hill also thought that the fiscal cliff tax hike would be a precedent for lots of future tax hikes. As reported by Politico, their analysis was misguided. Byron York has the best analysis, explaining in his Washington Examiner column that Obama gambled and (at least so far) lost. Nine months ago, Barack Obama likened his Republican opposition to an illness. If he could just defeat Mitt Romney, Obama said, then the illness might subside. “I believe that if we’re successful in this election — when we’re successful in this election — that the fever may break,” Obama told a fundraiser in Minneapolis last June. After Obama won re-election, there was extensive discussion among his supporters about whether the Republican “fever” would, in fact, break. But this strategy appears to have boomeranged. Byron thinks that the White House is now in a weak position. There was little speculation about whether something quite different might happen: Would determined GOP opposition break Obama’s fever? That is, could Republicans weaken the president’s resolve to defeat the GOP and further raise taxes? That appears to be what has occurred, at least for the moment. …Friday morning, Obama seemed resigned to the possibility that he cannot win the further tax increases he seeks, and that after enlisting his entire administration in a campaign to frighten Americans about sequestration, the cuts have become a reality that he has to acknowledge. While I’m glad the President goofed, I’m not under any illusion that winning a battle is the same thing as winning a war. It’s quite possible that the modest sequester savings will be undone as part of the “continuing resolution” legislation to fund the federal government between March 27 and the rest of the fiscal year. There will also be a debt limit fight later in the Spring, which will give proponents of bigger government another bite at the apple (though it’s a double-edged sword since advocates of limited government also can use the debt limit as a vehicle for reform). And the President obviously won’t give up on his campaign for higher taxes. I worry that he’ll trick gullible GOPers into a tax hike at some point, either as part of a Trojan Horse tax reform or as part of a budget summit that produces something like Bowles-Simposon, a package of real tax hikes and illusory entitlement reforms. But we can fight those battles down the road. Today, let’s enjoy the sweet smell of victory. Let’s just pretend that this article below appeared today and it was for the current budget…We would hold out hope that many blinkered Democrats were just starting to realise how damaging and polarising Obama’s presidency has been. Previous games of brigmanship over capturing populist sentiment in spending are now being balanced against the fear of international decline. In short Americans are concerned by eyes looking in more than they have been in the past. American lawmakers are starting to realise that there is more at stake than fundraising and capturing populist sentiment for more spending. The blinkers are coming off and the peripheral vision is now coming into focus. This decision is a win for America and a blow to Hollywood Obama and his incompetent administration. 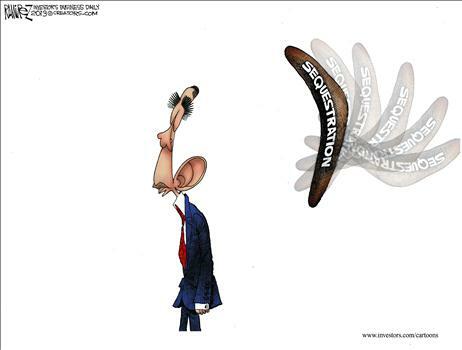 It is 2014….no such hope…..just more of the same from a populist..divisive president. The spin cycle continues and the low infirmation voters keep up their support for Hollywood Obama. Term | International Liberty” was truly engaging and instructive! Within the present day world that is difficult to deliver. To John Moore. Yes the 2014 house must be held, but to really win we need to take the senate. Lots more senate dems are up, many in red states, and we need to gain 6 seats, so we have a real chance, if we can avoid nominating any more poor candidates. Mind you its still a longshot, most polls now show gains of only 4-5, but it is possible. And even a 1 seat senate majority will be a huge change, since Reid will no longer be able to block votes on bills from the house. And while legislative changes require 60 votes (so repealing obamacare is impossible) a budget only requires 51 votes, so even a narrow majority can force real spending cuts. I think the real battle now is for the 2014 election. If Obama can gain the house then, it doesn’t matter what laws are passed now – once in power, the Dems won’t repeat their mistake of 2009-2011 and instead will wreck the country quickly and thoroughly. Anything else, for now, is a side show. Obama is playing a nasty, mean long game. the Republican message has to be, ” He got his tax increase. Now we cut spending.” Short and sweet, and repeated over and over until it sinks into the mind of the LoFo and the MSM. At some point it will sink in but only if it is relentlessly shouted. I believe Jeff is on the right path. Correct, too! And we must take a leaf from David Stockman’s book and take aim at not at “weak claimants” (the absolutely helpless and hopeless but for the federal gov’t – there are fewer of them than Obama and his boo-hoo media admit, by the way) but at corporate welfare and handouts lacking means testing, what Stockman rightly identified as “weak claims” on the public. Let Obama defend the Solyndras and the billionaires drawing Social Security. Once again a few recalcitrant Republicans are blocking the people’s dream. The dream of a world where people leave their families every morning to go work for them 9 to 12 and then 1 to 5 they work for the public, distant Julias, and benefits that are given to them unconditionally regardless of work. AND, most importantly, they do so with enough enthusiasm to outcompete the rest of the world — as we have become accustomed to as Americans. The dream lives on. Subpar, welfare state, one to two percent growth trendlines are submerging a delusional and complacent western world into the worldwide average. In practice, Republicans have put back in the tube two micrograms of the ObamaCare toothpaste. At great political cost. How long will they last? ‘Starve the beast’ has it exactly backwards. We’re running trillion dollar deficits, and apparently the political pain of a 40 billion cut is consuming DC. What we need to do i gorge the beast. Raise taxes enough to balance the budget – this year. None of this wussy 60 billion a year stuff. Raise them by a trillion a year. But not just on ‘the rich’. Raise them on EVERYONE. Make people feel the pain of what we’re spending. Take his own words and make him eat them. Repeatedly. -Before- we actually reach all of the upcoming cliffs. “This ‘Keep Airports Running Bill’ makes sure that there will be -no- bureaucrats anywhere deciding that the place to cut TSA spending is the front-line security screening.” (Of course, it also has a hiring-and-pay-freeze). That is: pass a -wall- of -specific- positive independent appropriations. Continue with the “No check delays!” bills. Pass a specific “Order of payments” bill. 47) Cabinet Level official pay. Nope, blogagog, the fiscal cliff deal was during his first term. It’s not a grand strategy as in chess, it is gutter level poker decided by the bluff and call for each hand….. There are many hands to play. I’m leaning towards the “gullible Repubs” outcome, but let’s hope. Obama has a bunch of sociopaths working for him who will find ways to create maximum pain, and a bunch of sociopaths in the Media to blame the pain on the Repubs. A little victory is nice considering how few and far between they are with regards to federal government’s out of control spending. However, the lack of willingness for real spending cuts, the continual insistence for tax increases and the complete lack of seriousness regarding real entitlement reform coming from the Democrats gives me very little hope. I’d have more hope if liberals had even a minority group similar to the Tea Party that believed in reducing spending. Instead, it’s FORWARD with more spending and government solutions for everything. They’re a broken record. The government is always the solution and taxing the RICH is always the way to pay for it. on March 4, 2013 at 1:50 pm AD-RtR/OS! Well, we’ve nominally slowed the growth of spending by 2.3%, now it is time to actually reduce spending by 2.3%; and then do it again, and again, and again. Actually, the first “win” for Obama was a loss. The Bush-era tax cuts were made permanent for something like 98% of the country. Obama got his “millionaires and billionaires” tax increase, hit solution to everything. The rest of us saw a tax rate that was on life support, having to be renewed from time to time, become permanent. Obama is now painted into a corner. He has to explain why his panacea didn’t fix anything. We’re still coming up a trillion short each year. It’s very early to declare a victory. Obama will do what he can to impose pain on the American people. Is it doubtful that a majority will see this as what it is. This post doesn’t seem accurate. The first big fiscal battle was to increase taxes, and he won that. This second battle is far from over. Judging from his past, I expect him to do many things harmful to our economy to prove he was right to want to raise taxes yet again. You’re completely jumping the gun here.